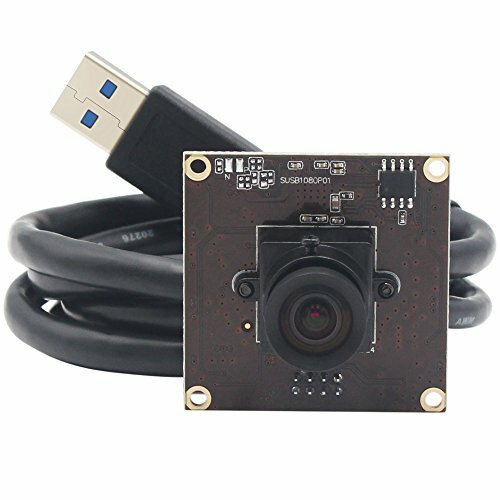 USB3.0 2Megapixel 50fps@1080P HD USB board camera that is Linux,Android,Windows& Mac compatible. Picture format "YUY2 and MJPEG optional"
Android 4.0 or above with UVC"
If you have any questions about this product by ELP, contact us by completing and submitting the form below. If you are looking for a specif part number, please include it with your message. 2018 Model: Spy Camera Wall Charger, Night Vision-1080P HD Resolution, Nanny Cam USB Security Camera, Supports 128GB SD Memory Card - Superior Motion Detection, Wi-Fi Viewing. Free Charger. No Audio.